Endless Legend is the fantasy-themed followup to 2012′s Endless Space, a space-based 4X that I quite liked, on the whole, but which had a whole mess of technical and stylistic issues. Endless Space was an obvious attempt to produce a worthy successor to Master of Orion, and so while this particular gap in the market got filled quite ably by Age of Wonders III earlier this year it would have been logical for Endless Legend to take a swing at modernising Master of Magic. 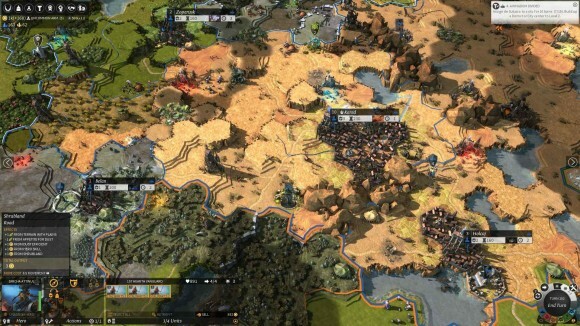 This is why I was more than a bit surprised that under the fantasy trappings Endless Legend was much more of a traditional 4X in the vein of Civilization; it uses the fantasy1 elements as flavour and does deviate from formula when it comes to factions and cities, but there are several key elements that distinguish MoM-alikes from the wider 4X genre that are consciously missing from Endless Legend.